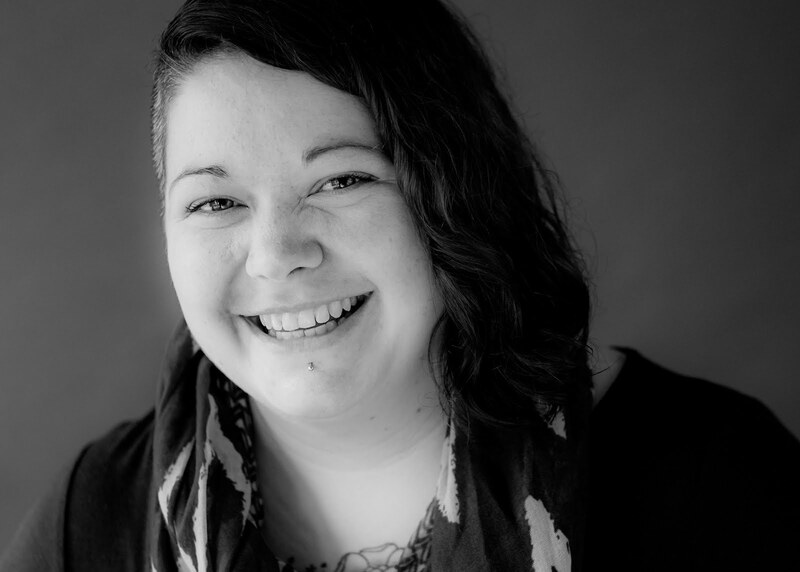 When I was a teenager, a child really, depressed and reeling from a sexual assault, I cut my arms. At first it was because I wanted people to see. I knew there was often a correlation between self harm and sexual assault and I desperately wanted somebody to ask me the question I wasn't even sure I had the guts to answer. So it started as a cry for help, but it became a habit, a coping strategy. I scratched and cut and burnt my body. I carved lies into my thighs. The day I first called out to Jesus I was kneeling on the dusty rose carpet in my bedroom in the house my parents had built. I had cut too deep and was afraid and finally called out to the one I knew could save me from myself before I went to the emergency room for stitches and a lecture. My arms, my body, is covered in scars, some faint and old, some fresher and more raw. I am wearing my hurt, my sin, and sins committed against me on my flesh, everyday, for the rest of my life. 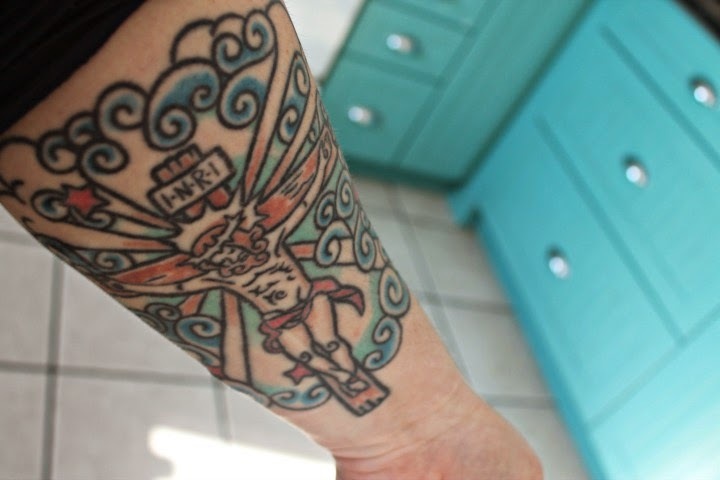 Shortly after my 18th birthday I got a large Jesus tattoo on my arm where the worst of the scars reside. If you look closely you can still see the scars peeking through. But most people don't. They see the tattoo first. They see Jesus. And isn't that the story of our hearts? Our lives? That the brokenness we couldn't hide anymore and the sins that were defeating us are covered, redeemed, that we are made new? Covered but not gone. If people brush closely against our spirits they can still feel the rough raised edges of those broken places, can't they? Those willing to get close enough can see our hurts and wounds and, somehow, because He is not afraid to enter in to our dark places, see Christ in them. Each of us has a lifetime of stories. Of sin and stain and grace and breath. The good news, that God would venture into the dark places of our lives and redeem us, save us from ourselves while we were yet enemies with him, be glorified in those most fragile parts of us, it resides inside each of our stories, waiting to be told. It's beautiful. So now? My body tells another story. Not just of the little girl who followed the wrong boy into the woods and shouted the news with her own blood. But of the young woman who found hope and unconditional love and scandalous grace in a soup kitchen run by nuns. A story of redemption and of grace upon grace upon grace. The story of a God who left his throne on high to enter into our darkest places and be with us. It's taken me too many years to become free to tell my stories; free to tell the bits and pieces of God's story that I've witnessed. Too many wasted opportunities to come alongside someone and share the story of hope that God was, and is, writing on the pages of my life. But I've learnt to love those stories. To sit with hands wrapped around big mugs full of cozy drinks and share the stories that hurt to put into words. Because these stories are a picture of who God is and what He can do. Because these stories breed compassion and understanding and fulfill heart yearnings for hope and community and someone who "gets us". 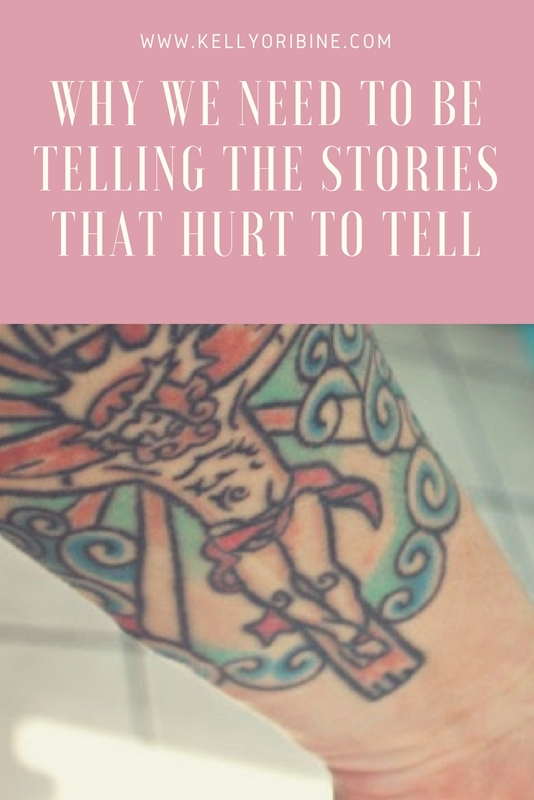 These stories contain the freeing power of "me too"
Because when we share our stories we set others free to experience their own stories with confidence and self acceptance. 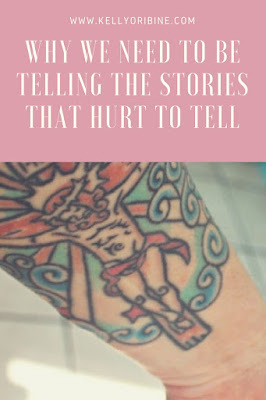 We send the beacon out that says it's okay to not be okay, it's normal to not be normal, and in Christ we go from weak and damaged to wounded healers on a mission.There was a purpose in our pain. Because when we tell our stories we become free to be so much more than the skeletons that are in our closets. We become liberated from our fears and our shame. Friend, with deep breath and trembling hands, can I challenge you this? Say your story aloud. Set one another free from the lie that we are alone and unknown. Unleash the powerful beauty of "me too" by giving words to the experiences that threaten to isolate us. Because your story matters. It's a glimpse of God moving in this broken world. We all need that. Will you take a moment to follow me on facebook, twitter, or instagram? Or don't miss a post by signing up for my RSS feed. And thank you so much for reading my words, I'm honoured. Im at work and shouldnt have signed onto Facebook. What do you call it? Ugly cry ? Thats what I'm doing now. Your words are very powerful. Don't stop sharing and speaking out. Some may not know what to say but they are listening and your stories have a huge inpact. They also may not be ready yet to tell their story but you give them courage to know they can someday when they are ready. This is beautiful. Thank you so much for sharing and for sharing Christ's work in and through you. This is brave, beautiful work and I praise our God for what He is accomplishing through you! Thank you so much for these words. I needed blogs like this when I was a teenager. I needed Christian's with the courage to stand up and say that it's okay to not be okay, that God is in your pain and he is making things beautiful. So thank you for being that voice for people that need it.